Alice Matimba, PhD is a senior lecturer at the Department of Clinical Pharmacology, College of Health Sciences, University of Zimbabwe. She is one of two winners of the Research4Life/INASP advocacy competition. Gaining access to Research4Life equipped Dr. Alice Matimba and her team with up-to-date and reliable information to advocate for a policy of investment in the advanced technology and services needed to tackle the burden of diabetes in Zimbabwe. In Zimbabwe, diabetic patients don’t usually have their eyes checked for retinopathy, the most common cause of vision loss among people with diabetes. “It was not hard to sense the distress of an ophthalmologist who took care of people with diabetic eye disease who present when it is too late to save their eyesight,” Alice Matimba explained. She shared her story of how her team started to take action and address the many alarming knock on health effects of diabetes—in particular blindness which can be prevented if diagnosed and treated in time. Alice described a letter an ophthalmologist received from the mother of a teenager who was about to take written exams to qualify for university and whose vision was failing because of diabetic retinopathy. “As a past student, often reading many hours a day as I pursued my degree, I understood why the family was desperate for help. The ophthalmologist was not optimistic; he knew the best outcomes came when treatment began before vision loss had already occurred,” Alice Matimba added. With her extensive experience in molecular biology, Alice was keen to understand the regional prevalence of diabetes and conduct relevant research in genetic sciences. But instead of complex genetic causes, she discovered that diabetes was aggravated by limited awareness, late diagnosis, and poor management. “There was an urgent need to develop timely interventions with a far-reaching impact at low cost,” she exclaimed. However, research in Zimbabwe on non-communicable diseases such diabetes remains inadequate with limited resources and access to reliable information and technology. “It frustrated me that the current and projected prevalence of diabetes and associated complications were based largely on anecdotal evidence and limited translational approaches. Most case reports which are used to develop research are from several years back and yet technology is moving fast” she explained. She knew that in order to conduct relevant research into effective interventions using advanced technologies, a systematic collection of data was needed–in short, an up-to-date and a reliable information platform. Her team explored appropriate interventions by using well-curated information in digital databases which provided baseline evidence of emerging technological solutions. The team established telemedicine as a cheaper and faster way to develop solutions for diabetes eye care. 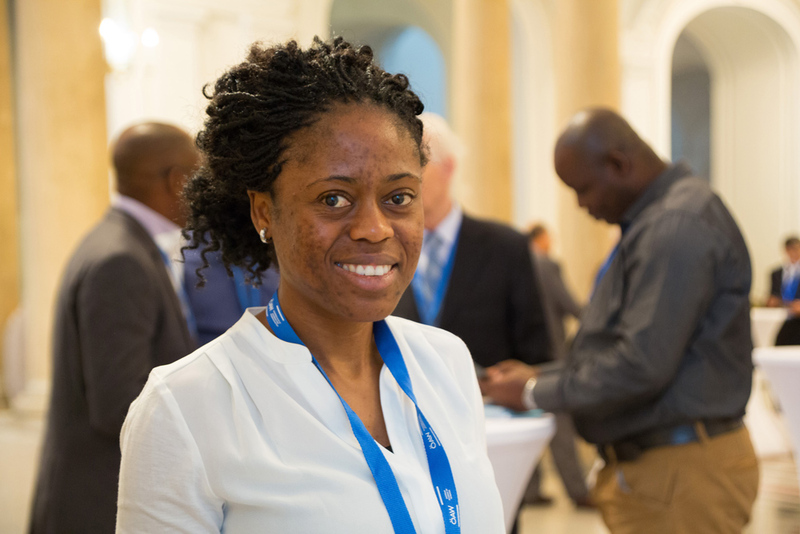 With this in mind, her team took a further step to pilot a tele-ophthalmology clinic for diabetes patients at the major hospitals in Harare, the capital city of Zimbabwe. to strengthen capacity for research and generate evidence for improving diabetes policy and tele-ophthalmology treatments by the health authorities. The data collected in her programs are shared with the Ministry of Health and will be used to develop additional policies for diabetes care in Zimbabwe. Since 2015, impressive progress has been made by alleviating waiting lists, travel and consultation costs and ophthalmology visits with over 1000 patients screened and equipped with the information they need to reduce the risk of diabetes complications. “If the goal of the ZRTP was to innovate, explore and answer research questions that would improve the life and health of people with diabetes, we are well on our way to success,” she declared. This story is part of “Information in Action: Celebrating Research Advocacy Champions” a booklet with the best stories of the Research4Life/INASP Advocacy Competition.